A lovely Victorian, Mahogany bookcase with glass doors. We had to replace the top part of the bookcase with a new section. 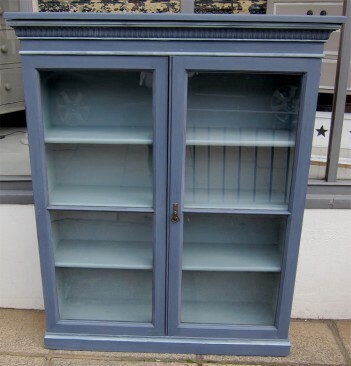 We have painted it in Grand Illusions Vintage Paint in Nordic Blue and Fjord Blue and it has been finished with the matt varnish.